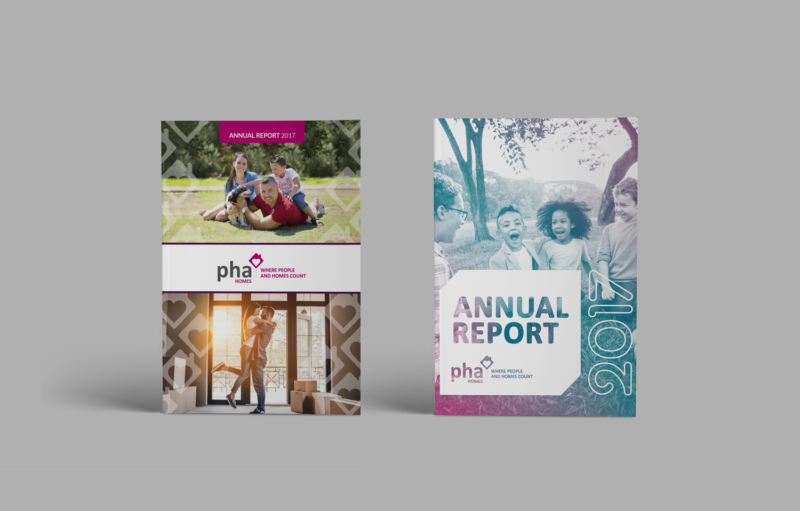 In the studio this week we’ve been reminiscing back to earlier this year when we created two concept designs for PHA Home’s Annual Report. 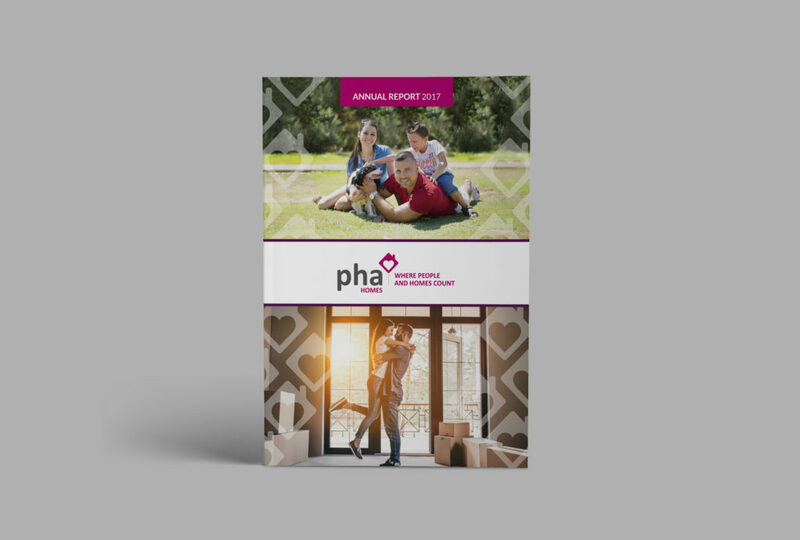 We’ve been working with PHA Homes, formerly Petersfield Housing Association for over 10 years. 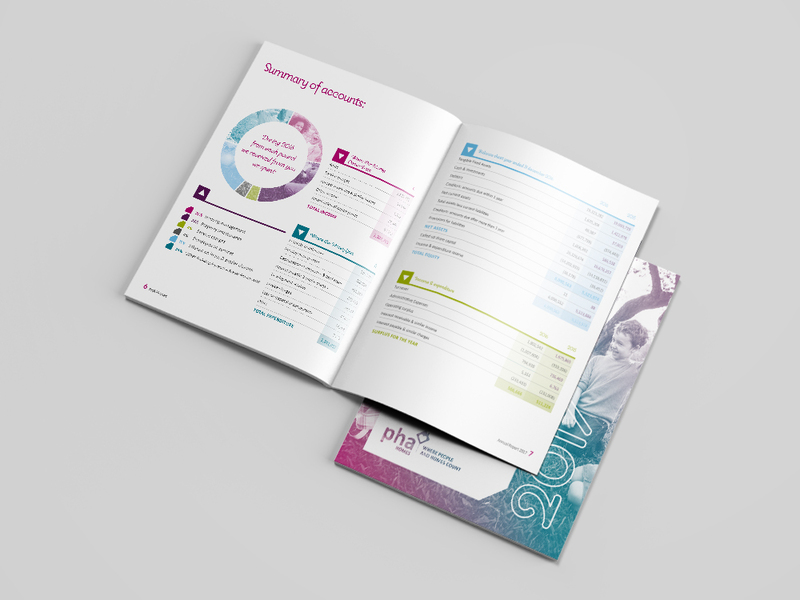 Every year, without fail, we’ve produced two concepts for their annual report – that’s a lot of concepts! Each year, one design goes forward, the other, is left to the Glow design archive. We are on a mission to share these designs with you. 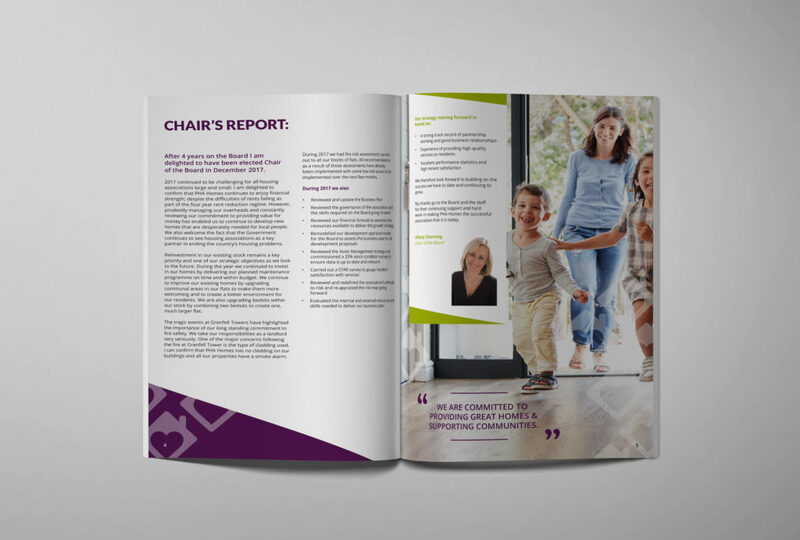 Not just annual reports, but all our fabulous Glow designs – check out the Alecto leader board and Stride branding concepts. After all these years, you’d think we’d be running out of ideas, but this year marks the second year after the PHA Homes rebrand (which Glow also designed by the way) – so we’re fresh with creative concepts! The chosen concept was a mixture of bright colours and full bleed imagery, creating a very happy and vibrant aesthetic. 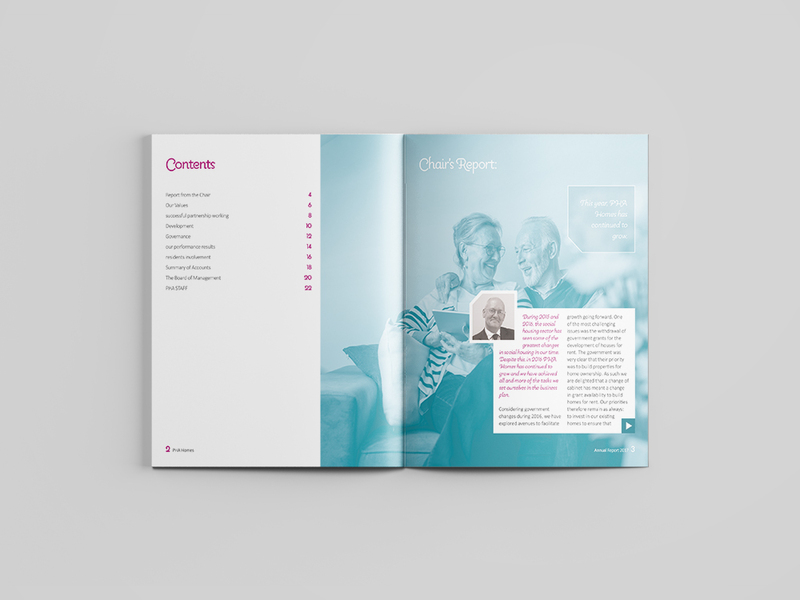 Using the logo icon throughout to create abstract shapes and a pattern; this concept really helped to reinforce the new branding and create an easy to read document. We think it was a lovely choice and the client agreed. The board of the housing association commented it was their favourite yet! The unchosen concept used a pastel version of the brand palette with full-bleed imagery which utilised a colour overlay. The bold colours were used to draw attention to areas such as headings, directional arrows and pull quotes. 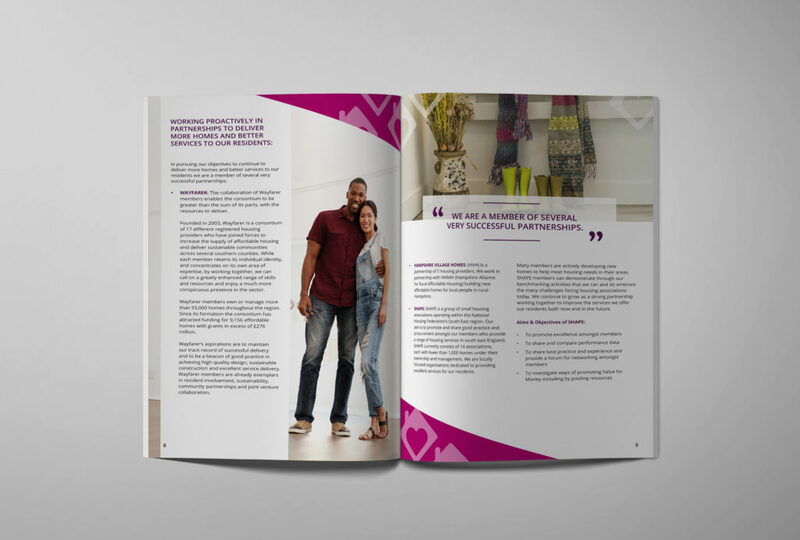 It used white text boxes in a collage style format to create a contemporary scrap-book design for a friendly and approachable feel. 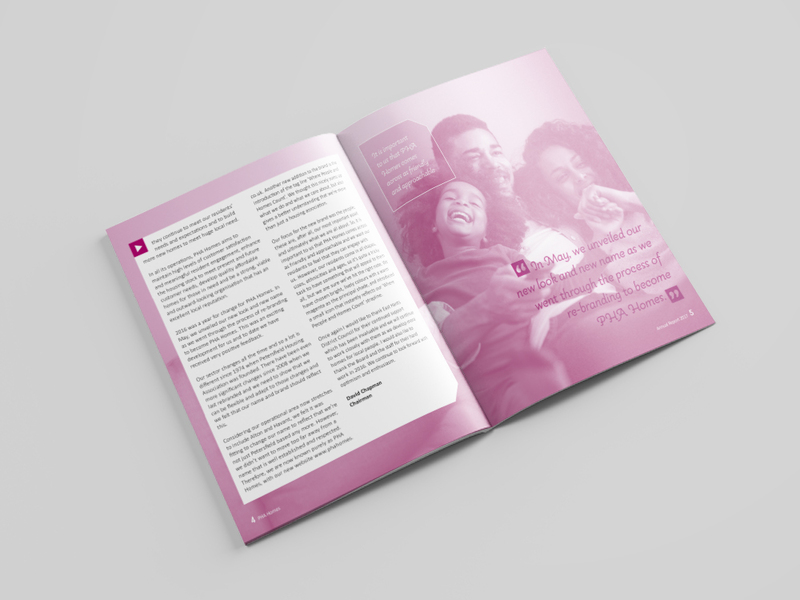 Introducing a gradient to the cover, Glow wanted to tie this annual report concept in with current design trends and show how their brand colour palette could be used in a variety of ways. We’re a big fan of this fresh design too and although it wasn’t chosen – we think it still deserves to be shown off!